Welcome to the January update! Sat 2nd Feb Dr Ben Sessa; MDMA: Trauma, Addictions and The Future of Medicine. We are pleased that Dr. Ben Sessa will be joining us at our next Members' Social on Saturday 2nd February. Ben is a consultant child and adolescent psychiatrist working in adult addictions and with survivors of trauma. Since 2009 he has administered and received legal doses of LSD, psilocybin, MDMA, DMT and ketamine as senior research fellow at Bristol and Imperial College London Universities, and is currently conducting the UK's first clinical study with MDMA-assisted therapy for the treatment of alcohol use disorder. Alongside his supervisor, David Nutt, Ben lobbies for a change to drug prohibition policies that increase the harms of drug use and stifle opportunities for psychedelic research. He is co-founder and former Director of Breaking Convention. 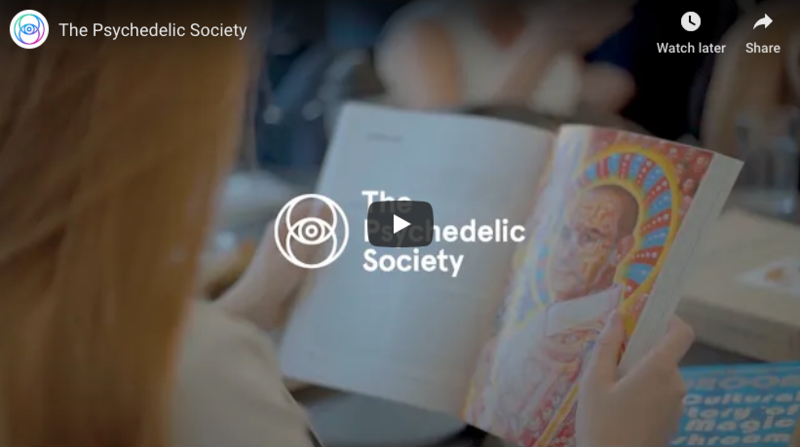 The video from our recent 400-person event Psychedelics, Extinction and Social Change with Stephen Reid and Gail Bradbrook is now available, along with details of recommended reading and ways to get involved. The Psychedelic Society's Psychedelic Experience Retreats allow you to explore the transformative potential of psychedelics in a safe and legal environment. The psychedelic used at the retreats is the psilocybin-containing truffle. The retreats take place monthly in the Netherlands, where psilocybin truffles are legal, in groups of 10-15. Some participants have little or no prior experience with psychedelics, whilst others may be relatively experienced yet are attracted by the group setting, and/or the idea of taking psychedelics in an intentional way at a potentially higher dose than before. Thank you to everyone who has recently become a Member of the Society! We our pleased to report that our membership is growing faster than ever.